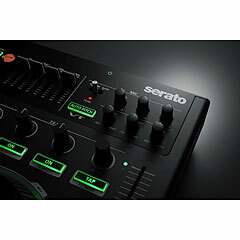 The DJ-808 is a DJ controller in a class of its own, with a 4-channel mixer, a drum sequencer, a voice processor and the most comprehensive available "Serato DJ" integration. 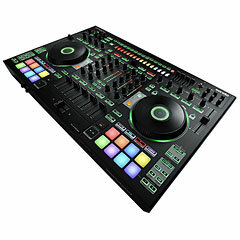 Unlike conventional DJ controllers, the DJ-808 is a stand-alone instrument with integrated "TR-S" -Drum maschine including all cult drum sounds from Roland and with access to the Serato Samplers in "Serato DJ". Furthermore the DJ-808 contains a VT Voice Transformer that can adjust your voice pitch to the key of "Serato DJ" automatically. 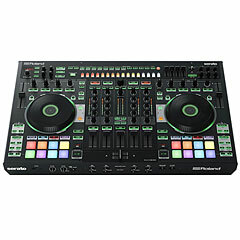 Also the connection of synthesizers and other electronic devices via a USB cable to create live remixes is possible. The DJ-808 offers excellent sound quality in a robust yet easy to transport enclosure and breaks the boundaries of classic DJ'ing with its features. 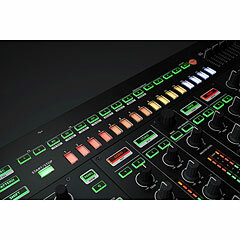 Roland is launching a suitable controller for every DJ with the new DJ Controller series consisting of DJ-808, DJ-505 and DJ-202. 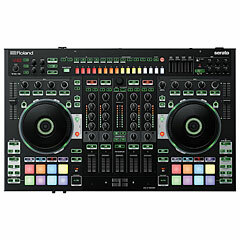 In conjunction with the Serato DJ software you get an optimal software and hardware solution. With the many innovative features and the rugged, stylish case, the Roland DJ Series is the ideal tool for DJing, remixing and producing Beat's, both for live performance and studio sessions. Whether you're a beginner or a professional, the Roland DJ series will most probably be found in many DJ setups in the future.